[standalone] Ivanova meets with a Rabbi to deal with her father's death. Meanwhile, an old friend of Garibaldi's arrives on Babylon 5 for an alien-only cage match tournament called the Mutai. "They change. They stay the same. Russia is Russia. Your father used to say, 'If regret could be harvested, Russia would be the world's fruit basket'." -All of Ivanova's family is now dead: her mother committed suicide because of the Psi-corps' psi-suppressing drugs' side effects; a year later, her brother died in the war; her father recently died of illness (in the episode Born to the Purple). -Despite this, Susan told no one of her father's death and sought no bereavement leave. -Susan sits shiva. This is arguably the most broken you will see Ivanova. -Susan joined Earthforce as a reaction to her brother's death, and against her father's wishes. -Garibaldi's buddy, Walker Smith, shared his name with Sugar Ray Robinson('s birth name). -The Mutai has been opened to humans after an edge-case allows Smith to enter the Mutai despite being a human, and he fights the champion to a draw. -Smith and Garibaldi both have experience with getting scapegoated and pushed aside. One of the low points of B5, and the B plot about Susan is notably more interesting than the A plot. So bad that I bailed on this in my first run-through, and only came back to it for this write-up. 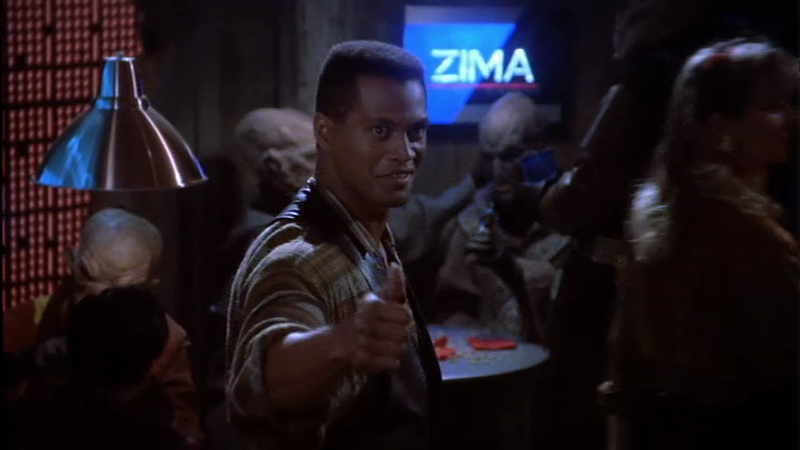 This is the episode with the Zima Sign. Interestingly enough, the clear malt beverage did have a short retail revival last year, so the fact that it's around again come the dawning of the third age of mankind is not entirely outside the realm of possibility. 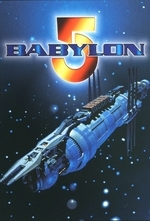 Well, I've finally got around to watching Babylon 5 for the first time. Half of this episode was pretty good (the half about Susan), but the other half ... ugh. I didn't think it was as bad as, say, Survivors. Are there a lot of lousy Garibaldi plots? Huh. After a decade, I remember Ivanova sitting shiva as clear as day - but had to reminded of the most basic details of the Garibaldi plot. It's like it's two separate episodes.